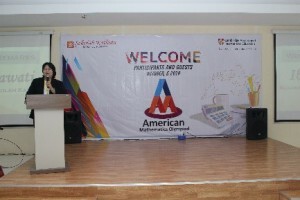 Indeed, math was fun during the recently concluded American Math Olympiad (AMO) 2018 of Batam, Indonesia! 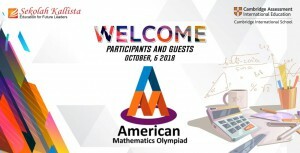 October 06 of 2018 was a significant day for all the eighty-nine (89) Mathletes from Batam who gathered together at Sekolah Kallista and took part of the prestigious AMO. 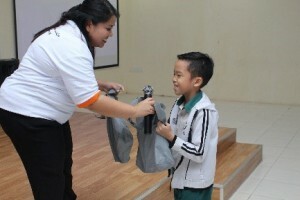 Sekolah Kallista, the SRP of Batam, Indonesia, did a very detailed preparation for the successful turn out of the event. Letters of invitations, posters and all the necessary promotions were done by the mathematics department of Sekolah Kallista. 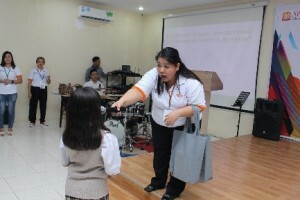 Everything was sent and informed on time and a well-coordinated communication with other participating schools led to the positive response and interest of the schools. A technical meeting was held on 03 October 2018, three (3) days before the competition day, to ensure that rules, objectives and concerns are properly addressed. 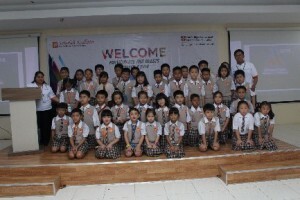 The meeting was attended by the representative of each participating school. It was aimed to assure all these schools that Sekolah Kallista will conduct and facilitate the competition with fairness, honesty and integrity. 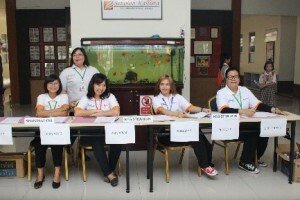 On the day of the competition, Sekolah Kallista, extended a warm welcome to all the eighty-nine (89) participants. 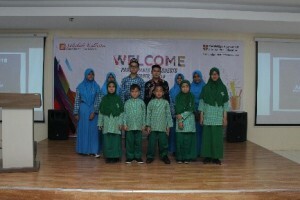 They were accompanied by their supportive teachers, and some with their parents. Students came as early as 7:30 for the registration. 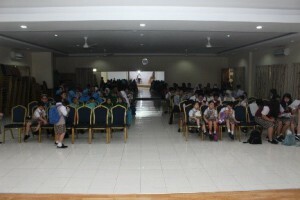 A short welcome program was held at exactly 9:00 in the morning in the hall of Sekolah Kallista. All participants with their respective teacher-coaches were recognized by school. Students who joined the SIMOC held at Singapore on July 06-09, 2018 representing the team of Batam, were also given due recognition. During the welcome program at the school hall. 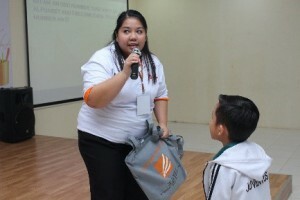 The Sekolah Kallista administration had provided amazing door prizes during the welcome program. 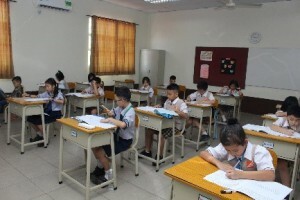 Tricky mathematics questions were given by grade level and those quick thinkers who answered first were the ones who received prizes. Tricky math questions with corresponding prizes. After the program, all the students were guided to their respective examination rooms. Facilitators of the AMO 2018 were the Math teachers of Sekolah Kallista. The exam started and ended as scheduled. Snacks were provided by Sekolah Kallista and were given to all the participants right after the examination. AMO 2018 at Sekolah Kallista was by far conducted successfully. 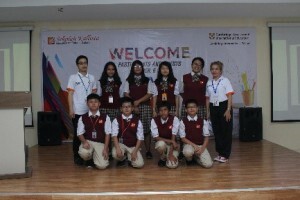 The administration, staff and teachers of Sekolah Kallista have high hopes that in the coming years, our school will continue to be part of AMO’s success, an Olympiad that does not only emphasize purely on solving math problems, but rather, celebrates the love and passion of each student to get better in the field of Mathematics. Sekolah Kallista will always be grateful for being AMO’s instrument to instill love for learning because we at Sekolah Kallista firmly believe that it is our school’s mission and vision to be an advocate of providing quality education and practice to our future leaders. MEGAWATI, M.Pd. YANSEN YONATAN, S.Si.